Marion 'Suge' Knight is sentenced to 28 years for mowing down and killing a California businessman. 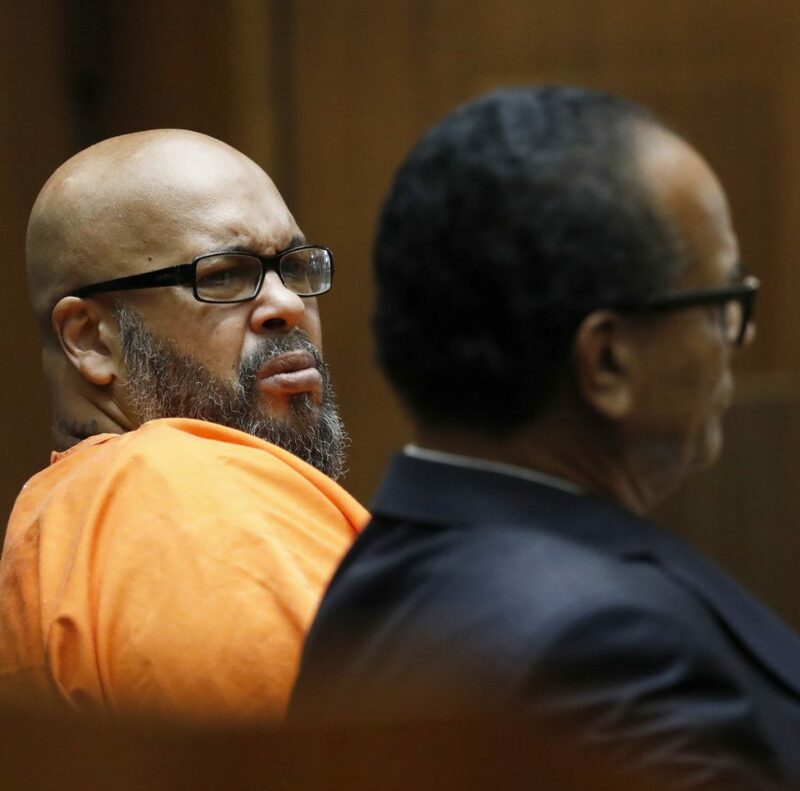 LOS ANGELES — Marion “Suge” Knight was sentenced Thursday to 28 years in prison for mowing down and killing a Compton businessman in a case that completed the former rap music mogul’s downfall from his heyday as one of the biggest – and most feared – names in the music industry. Knight will now likely live out most, if not the rest, of his life in a California prison. He showed no emotion in court Thursday as relatives of Terry Carter, the man he killed, described their loved one as a devoted family man and peacemaker.